Rehan Poncha wrapped up the final day the way he started, with a gold medal and a new National Record in the 200m IM. He was adjudged the Best Swimmer – Male by the virtue of winning the most number of medals – four gold and one silver medal – and the most number of National Records – four. Shikha Tandon and Richa Mishra too finished in style winning the 50m Freestyle and 200m IM. They both finished with five gold medals (and one National Record). 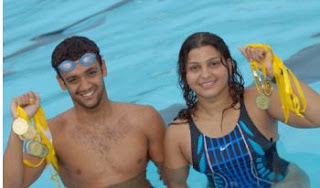 Richa Mishra was adjudged the Best Swimmer – Female by the virtue of having more meet records. T A Sujith won the 50m Freestyle to take the title of the Fastest Swimmer of the Championships. 200m Individual Medley (Men): Rehan Poncha showed his dominance in the event by setting a new National Record and comfortably winning with a time of 2:08.80. Aditya Sangvekar finished second with a time of 2:14.76 and Akbar Ali Mir finished third with a time of 2:16.73. The Olympic qualifying time for this event is 2:05.65. 200m Individual Medley (Women): Richa Mishra went on to comfortably win with a time of 2:26.38. Pooja Alva came in second with a time of 2:30.76 and Tejaswini V came in third with a time of 2:34.54. Richa holds the National Record with a time of 2:25.17 set at last year’s edition. The Olympic qualifying time for this event is 2:19.97. 100m Backstroke (Men): M B Balakrishnan pulled off the biggest surprise by touching ahead of all the other favorites and winning with a time of 1:00.62. Praveen Tokas finished second with a time of 1:00.78 and Sandeep N A finished third with a time of 1:01.34. Arjun Muralidharan, who led the race till the last 5 meters, finished fourth with a time of 1:01.35. The National Record stands in the name of Rana Joy Punja with a time of 58.20 set in 1988. The Olympic qualifying time for this event is 57.70. 100m Backstroke (Women): Fariha Zaman won the event comfortably with a time of 1:10.67. Kshipra Mahajan came in second with a time of 1:13.07 and Jyotsna Pansare came in third with a time of 1:14.12. The National Record stands in the name of Shikha Tandon with a time of 1:06.95 set in 2003. The Olympic qualifying time for this event is 1:03.86. 50m Freestyle (Men): T A Sujith won convincingly to make it a sprint double in the Freestyle events. He clocked a time of 23.95. Earlier in the day, he clocked 23.81 in the heats. Sandeep N A finished second with a time of 24.98 and Saiju Joseph finished third with a time of 25.24. The National Record stands in the name of Sebastian Xavier with a time of 22.89 set in 1998. Virdhawal Khade swam the second fastest time clocking 23.49 at the Junior Nationals in July. 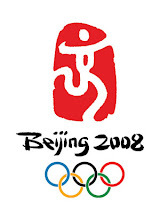 The Olympic qualifying time for this event is 23.13. 50m Freestyle (Women): In an event that has become synonymous with her, Shikha Tandon won comfortably with a time of 26.92 to make a clean sweep of the Sprint Freestyle events. Though her time was a bit off her personal best, it was her best time post surgery and a sure sign of getting towards the Olympic Qualifying mark. Lekha Kamath finished second with a time of 28.01 and Kshipra Mahajan finished third with a time of 28.58. 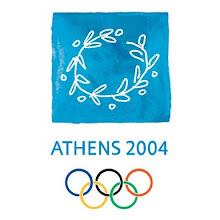 The Olympic qualifying time for this event is 26.32.